A reader of Curbed LA sends in video he took of the stairs at Adelaide Drive and 4th Street in Santa Monica, the place where all those exercisers are driving neighbors nuts with all their squats and crunches. The reader, who took the video about 3 weeks ago on a Sunday afternoon, around 2pm or 3pm, writes: "I actually live in Manhattan, I read about it first in the NY Times and did the video walkthrough to show what all the fuss is about. It was very busy on the steps. People don't just walk up once. They keep walking, up and down, many times. So all these people exercising on a very narrow stairway becomes very crowded." 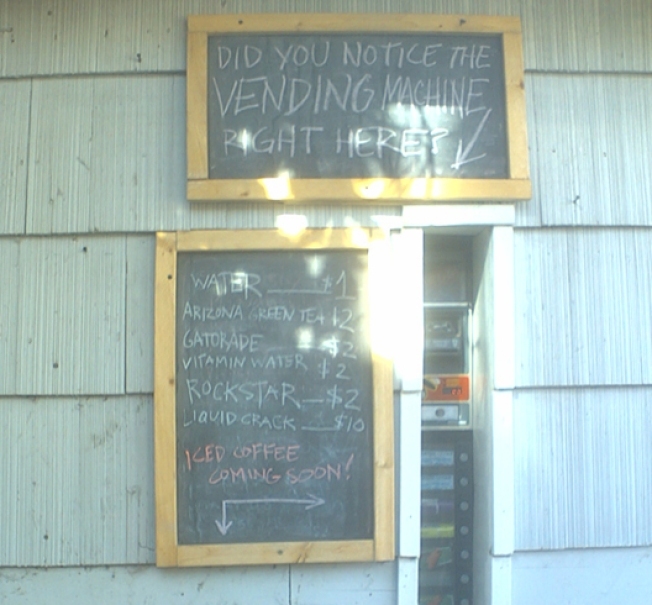 Additionally, he took a photo of what looks to be a vending machine built into someone's garage. Santa Monicans Still Won't Stop Exercising from curbed los angeles on Vimeo.